Even though everyone has a different recovery experience, it helps to have a general idea of what you can expect. As a rhinoplasty patient, you will need to take at least a week off work, during which you will be getting lots of rest and catching up on your favourite shows. Some patients may require a little more recovery time but this can only be determined once you start healing. Stay away from cigarettes until you are completely healed. This is because the tobacco restricts blood flow, which can slow down healing. Keep your pain medication close at hand. Remembering to take your pain medication will ensure a smoother recovery. Sleep upright. A wedge pillow will allow you to keep your head elevated while you’re sleeping, which will reduce any swelling. Purchase a cold compress. Even if it’s a bag of peas, a cold compress can really come in handy during your recovery. Avoid blood-thinning medications. Your doctor will let you know which medications and supplements to avoid after your surgery. Wear button-front shirts. Do everything possible to stay away from your nose, including wearing clothing that doesn’t need to be lifted over your head. After your surgery, your nose will be bandaged and packing may be added before someone will be able to drive you home. If packing is not used, a drip pad will be taped underneath your nose. Expect to feel some pressure once the anaesthetic wears off but pain can be managed with medication. A cold compress can be used to minimise any swelling. You will still be quite uncomfortable on day two and three and won’t be able to breathe through your nose. Pain medication will still be necessary and you will need to get as much rest as possible. Keeping your head elevated will minimise swelling and it’s important that you don’t bend over or blow your nose. You will see your doctor at this point so that your splint and stitches can be removed. There will still be some swelling but you’ll have a much better idea of what your new nose looks like. You should also be able to return to work the next day unless your doctor says otherwise. Bruising and swelling will have completed subsided at this point but some patients may need additional time to recover. At this point, you should be able to return to your normal activities but contact sport and highly-strenuous exercise should be avoided. There is a small chance that the tip of your nose could still be swollen. Your nose will look completely normal at this point but the tip of your nose could still be slightly numb. Any scarring will now also begin to fade. 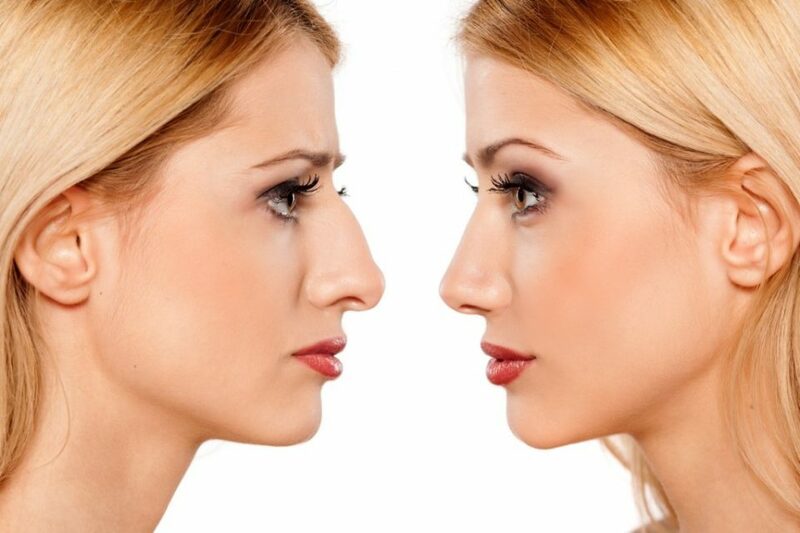 A year after your surgery, there will be absolutely no way to tell that you had any work done, other than the shape or size of your nose being different.